This simple statement has made significant movement across the internet lately )although Gruenert is often missing the "t"). The reason is that it houses a lot of truth. Very often people will ignore little deviations from accepted behavior because it "isn't worth the time and energy to correct" or "it's not that big a deal" or a myriad of other excuses. Truthfully, most times these are excuses to avoid conflict. The problem is that this thought pattern lets the person who performed the action think it is okay and will repeat it again. Then others will see that person getting away with it and they will think it is okay and thus will perform the action (or even take it further). If you think about it, it isn't just about company cultures, but in the home, school, sports, and a myriad of other places as well. What do parents allow their children to do that they really shouldn't? Teachers? Coaches? Managers? The next time you see someone do something on your team that you don't agree with, don't just let it slide. Instead, take the opportunity to correct the action before it snowballs. 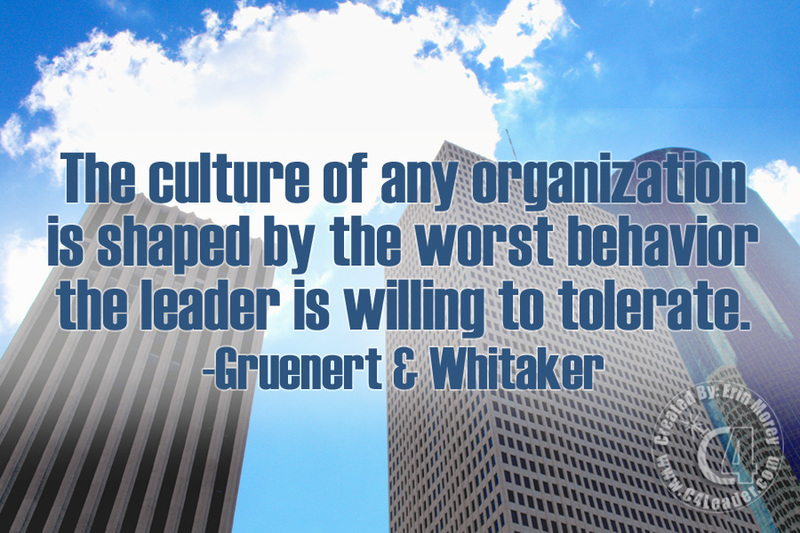 The worst acceptable behavior is the bottom level of your culture. 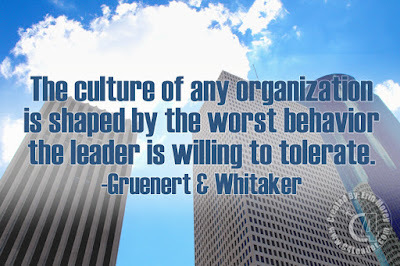 How do you want your team/organization to be perceived? Education experts Steve Gruenert and Dr. Todd Whitaker wrote a book titled School Culture Rewired: How to Define, Assess, and Transform It (affiliate link) with the goal of providing a tools and procedures to transform a school's culture to one that is positive, forward-looking, and actively working to enrich students' lives. Although I haven't read the book, the reviews show that it contains lessons which not only apply to school but can be modified for other cultures as well. Although some may find it a basic book, it does provide a starting point that many could use to grow a positive culture within their organization.